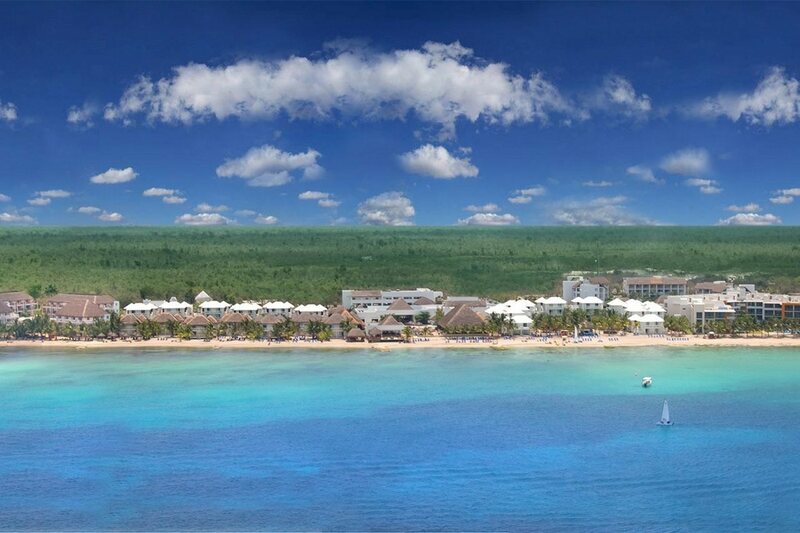 With a stay at Sunscape Sabor Cozumel - All Inclusive in Cozumel, you'll be by the ocean, just a 2-minute walk from Paradise Beach and 14 minutes by foot from Mr. Sancho's Beach Club. This all-inclusive resort is 0.7 mi (1.2 km) from Playa Mia Grand Beach and Water Park and 2.6 mi (4.3 km) from San Francisco Beach. Make yourself at home in one of the 218 air-conditioned rooms featuring minibars. Rooms have private balconies. Wireless Internet access (surcharge) keeps you connected, and cable programming is available for your entertainment. Conveniences include safes and complimentary bottled water, and housekeeping is provided daily. Pamper yourself with a visit to the spa, which offers massages, body treatments, and facials. After dipping into one of the 2 outdoor swimming pools, you can spend some time at the private beach. Additional amenities at this resort include complimentary wireless Internet access, babysitting/childcare (surcharge), and a hair salon. This resort is all inclusive. Rates include meals and beverages at onsite dining establishments. Charges may be applied for dining at some restaurants, special dinners and dishes, some beverages, and other amenities. Satisfy your appetite at one of the resort's 3 restaurants. Relax with your favorite drink at the bar/lounge or the poolside bar. A complimentary buffet breakfast is served daily from 7 AM to 10 AM. Featured amenities include dry cleaning/laundry services, a 24-hour front desk, and multilingual staff. Event facilities at this resort consist of conference space and a meeting room. Free self parking is available onsite.